Hundreds of people have offered to rehome a three-legged police dog which had to be taken out of service. 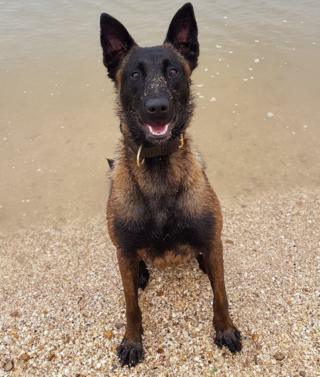 Essex Police said staff had been “overwhelmed” by the number of offers to look after two-year-old PD Baloo. 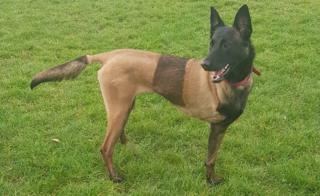 The Belgian Malinois was retired from duty after she was badly injured while on duty. She broke her pelvis and leg, and the leg had to be amputated. 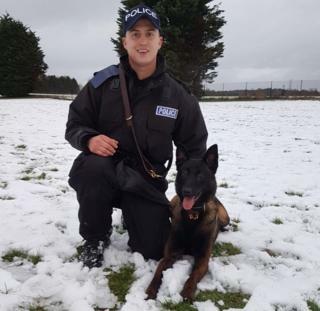 Baloo had been responding to an incident with her handler PC Ross Ashcroft in October. In a post on Twitter, the force said it had been overwhelmed by the number of people wanting to give Baloo “a loving home”. Because of his role, PC Ashcroft was not in a position to keep Baloo. He previously said she was “loyal and protective” and “loved life as a police dog”. “As confident as she was at work, she was an absolute softie when taken out of work who wanted nothing more than attention and cuddles,” he said. An investigation into how Baloo came to be injured is ongoing, the force said.